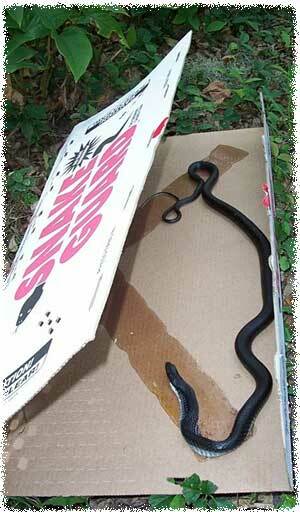 Most snake traps are glueboard traps. They are cardboard or plastic boards with a gummy, sticky glue spread over them. If the snake crawls over the glue, it becomes hopelessly stuck. 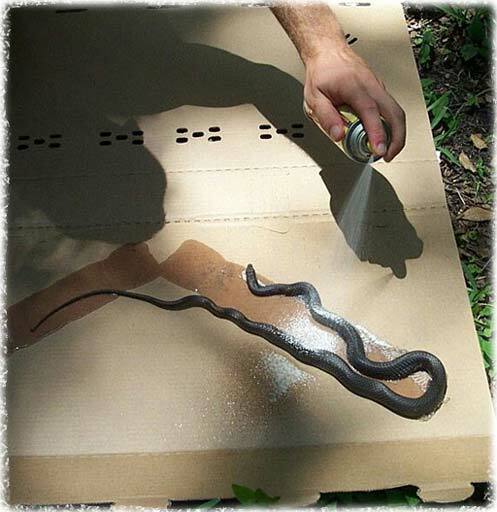 You can buy special snake traps such as the Snake Guard brand, or you can buy regular rat glue boards. The key to catching the snakes is in the placement of the traps. You have to put them where the snake is going to naturally crawl, because there's no scent that will lure snakes onto the trap. The snake crawls into the trap and gets stuck on the sticky glue. After I remove it from your property and bring it to a relocation point, I pour some vegetable oil on it, or spray some PAM cooking oil on it, and it works itself loose from the glue in a few minutes. Just let it slither away. Want more snake info? Go back to the Orlando snake removal page. AAAnimal Control is a professional snake control company located in Orlando, FL We offer solutions to wildlife problems throughout the Greater Orlando Florida area. Services include animal trapping, capture & removal, plus animal damage repairs and preventative measures. We also offer biological cleanup and many other services. Give us a call at 407-729-6946 any time to discuss your wildlife management issue and schedule an appointment. You can always browse this site for more details and info, and you can even check out prices ahead of time. If you live elsewhere in the US and have found this site and need a local trapper in your area, click here for a nationwide list of 100's of professional wildlife control experts.